No matter if you’re developing a new eCommerce solution or redesigning an outdated one, you probably know that it needs to integrate with a third-party system – an ERP, CRM, online marketplace like eBay or Amazon, accounting software, or marketing solution. 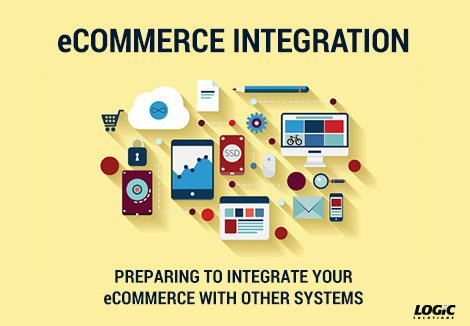 Integration can be complex depending on how much information you’d like to incorporate with your eCommerce. So we’ve made a checklist for you to help your eCommerce developer (which we hope is us!) better understand your integration needs and give you an estimate on how much time and materials will cost. Your daily workflow should flow seamlessly between your eCommerce and your other systems so that you can focus on your company’s bottom line. And we want to help you achieve that. If you’d like to see how the eCommerce Integration Checklist can help you with your eCommerce solution, please fill out the form on the right. And be sure to check out our eCommerce Solution Checklist for preparing to talk to an eCommerce developer!